Damage from Hurricane Irma in Florida last year was severe. Florida architects face challenges that architects in some other parts of the U.S. don’t have to worry about as much, namely, hurricanes. Hurricanes can be catastrophically destructive, and Florida’s position in the Atlantic Ocean makes it particularly vulnerable. Hurricanes need warm water — at least 80 degrees — to form, according to the National Oceanic and Atmospheric Administration. The fact that the vast majority of Florida is a peninsula jutting out into tropical waters makes it a prime target. Its flat terrain offers little defense against raging winds and rain. The houses and commercial buildings situated across the state are thus continually left open to attack from powerful storms. NASA, quoting a study done by a Massachusetts Institute of Technology hurricane expert, says storms are 60 percent stronger than they were in the 1970s. Among the reasons are rising temperatures and sea levels. Thus, Florida architects must continually develop new and better methods of constructing buildings to withstand worsening weather conditions. 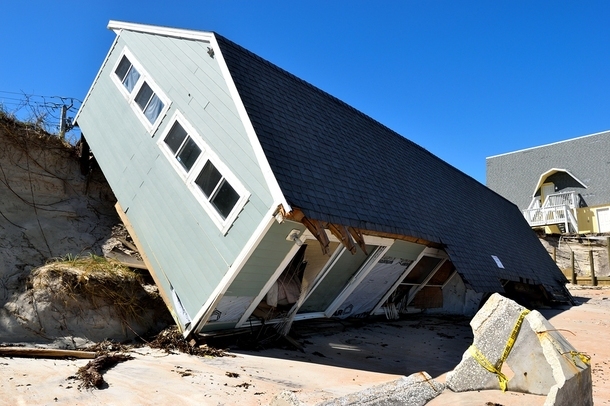 An article in Architect Magazine offers up proof that using resilient design concepts and shoring up otherwise inadequately built structures makes a real difference in which buildings emerge whole after a storm and which others are reduced to rubble. When fulfilling the requirements for architect professional development hours, Florida architects can opt to take one or more of several courses in resilient design offered through PDH Academy. The Resilient Design Institution defines the concept as “the intentional design of buildings, landscapes, communities, and regions in response to” stress or disturbance, including hurricanes. PDH’s course, Green Building and Climate Resilience, provides architect professional development hours on the topic of climate change and how it affects buildings in particular locations. An important architect professional development course for Florida architects is the Florida Building Code 6th Edition: Advanced Course. This course updates all the critical changes to the building code in Florida since the 5th edition was released. Durability by Design: A Guide for Residential Builders and Designers, goes over design concepts for creating buildings that last longer and withstand greater challenges. Architects who log professional development hours learning about recommendations from the Federal Emergency Management Association Mitigation Assessment Team after Hurricane Katrina will gain some helpful insight into building design in Florida. FEMA’s report includes data on what types of buildings withstood the brutal storm and which did not. PDH’s course, Summary Report on Building Performance: Hurricane Katrina, awards five architect professional development hours. Some houses survive hurricane winds only to fall victim to flooding. With hurricanes also often come floods, especially in Florida. While certain architectural and building principles and methods can help protect a building from damage in high winds, little can be done to prevent water from entering a structure. PDH’s architect professional development course, Protecting Building Utilities from Floods, goes over methods of design and construction to prevent damage to utilities in flood-prone areas. Since no building can offer 100 percent assurance that it will survive an attack from a weather system, PDH offers a class called Taking Shelter from the Storm: Building a Safe Room. This course goes over how to design a safe area for homes or businesses, either above or below ground. If you’re a Florida architect who needs professional development hours, you can get the targeted coursework you need from PDH Academy.